This week we’re chatting to Travelstart’s Media Sales Executive Annie Van Deventer. Annie recently honeymooned in Zanzibar where she enjoyed the hospitality of the Coral Rock hotel – a delightful beach hotel in Zanzibar. Welcome home Annie and congratulations on getting married. Many travelers are often confused about the location of Zanzibar. Can you clarify things by telling us where Zanzibar is? Zanzibar is an African island that is part of Tanzania. 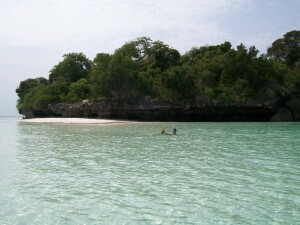 The island lies in the Indian Ocean about 70km from the Tanzanian mainland and the capital city – Dar es Salaam. What was the Zanzibar Weather like? 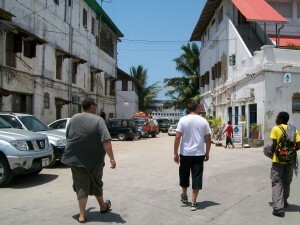 We spent February 2011 in Zanzibar and the weather was great. It was hot and humid with occasional tropical rain. The weather in Zanzibar is largely dependent on what time of year you travel – February is their hottest month. March is also a good time to go as the beaches are cleaner with the change of the sea current, but in April their rainy season starts. What things did you do in Zanzibar? 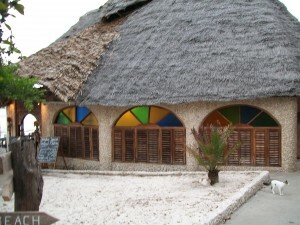 We spent most of our time at our hotel – Coral Rock. 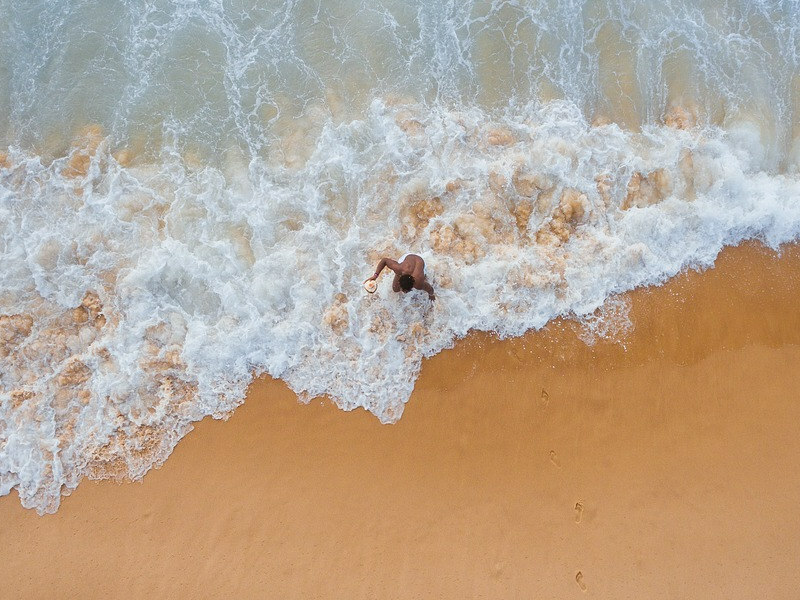 Many hours were spent relaxing by the pool, exploring the local village of Jambiani and taking dips in the sea which is as warm as bath water. Coral Rock offer free Internet which enabled us to keep in touch with our family and friends via Facebook. We got beautiful henna tattoos done by the locals and had drinks and Kilimanjaro beers at a little beach bar called Kimti just next to Coral Rock. One of the highlights of our trip was our island tour, which we booked with the lodge. We were taken out on a boat called a dhow, to a little island. We were left to swim and snorkel as the crew prepared our crayfish lunch. Our guide took us to the best snorkeling spots around the island. It truly was a great experience getting up close and personal with all the tropical fish, I even found Nemo. Which was the best beach you went to in Zanzibar? Coral Rock is on the southern side of Zanzibar island and the beaches are much quieter. Unfortunately it was covered in dried seaweed; however in March the tides change and wash all the seaweed away exposing a beautiful white sandy beach. The northern side of the island is known for the best beaches, but it is also a lot busier as it is packed with tourists. Did you buy anything interesting or is shopping limited in Zanzibar? We bought a mini dhow, which was quite a feat to get home in one piece, and a few other souvenirs. Zanzibar is not a shopping destination, but you will be able to find a few memento’s to bring home. Just remember that bargaining is a must and ask for the price in shillings as the dollar price will be a lot higher. Did you visit Stonetown in Zanzibar? Yes, Stonetown was also on our list of to do’s in Zanzibar. Stonetown is the capital of Zanzibar and we frequented the local bars and restaurants. We took a stroll through the street and markets and bought all our souvenirs in Stonetown. We also visited the birth place of Freddy Mercury which is now a gift shop. You will be bugged a lot by the locals to buy all kinds of things, but just be firm with your answer if you want them to leave you alone. I also advise women to wear a shirt that covers your shoulders and cleavage. Were there any culinary delights that stick out? Coral rock caters for most tastes. The menu covered everything from pizza, curries and seafood to goat on a spit. In Zanzibar they love to add chili and lime to most dishes especially to the traditional Swahili dishes and curries. If you plan on trying a traditional dish rather ask for it mild with chili on the side. The fruit is the best I’ve tasted and the seafood is freshly caught every day. One of the dishes that stood out was the duck mango and cream cheese samosas. The combination of the salty duck and sweet mango complimented each other really well. In Zanzibar they don’t serve calamari rings, as we are used to in RSA, they serve it as steaks either grilled or with batter…..this was one of my favourites. The local drink is called Koyagi a form of gin. The local way to drink Koyagi is with juice. Our favourite was the passion fruit juice – a blend of freshly squeezed mango, pineapple and granadilla juice, but be warned it may taste like juice but it sure has a kick. Did you learn any Zanzibar history? I must admit we didn’t get around to learning much about Zanzibar’s history, but we did learn about an interesting red creature. On the way to Coral Rock you drive by a forest called Jozani National Park which is home to the Red Colobus monkeys which are common to Zanzibar. We were fortunate enough to catch a glimpse of these red monkeys with their white punk rocker hair and red stripes down their backs. They don’t normally come close to the road and prefer sticking to the forest. You are able to take a guided tour through Jozani National Park to see these red critters in their own habitat. Who did you fly with from South Africa to Zanzibar? 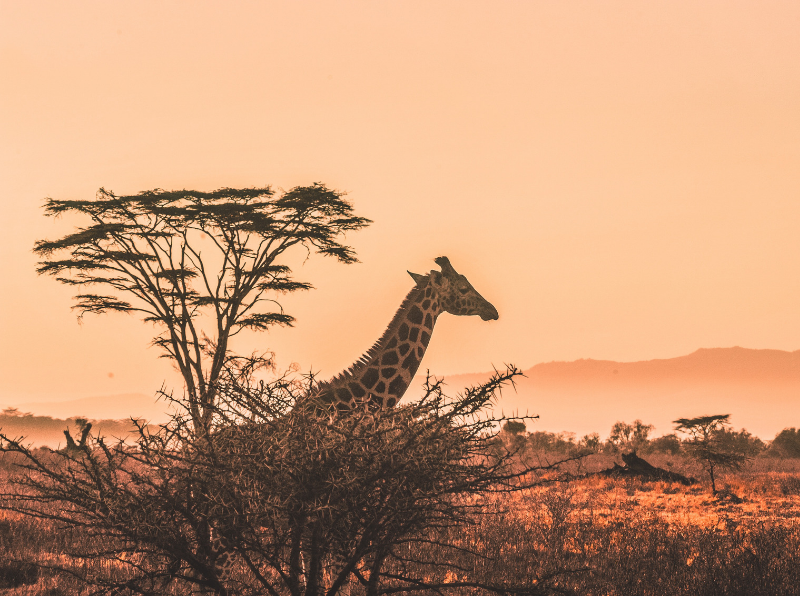 Getting to Zanzibar consisted of 3 flights – We flew 1Time from Cape Town to Johannesburg and British Airways from Johannesburg to Dar es Salaam with an 8 hour stopover in Dar. We flew from Dar es Salaam with Precision Air to Zanzibar which was the shortest flight I have ever taken, 20 minutes from takeoff to landing. It took a long time to get to our destination and I would suggest, should you have the extra cash, fly directly from Johannesburg to Zanzibar, it will save you a lot of stress. Will our readers need to get some Malaria tablets if they’re going to take a Zanzibar vacation? Yes you will need to get Malaria tablets. The most important thing would be to get your Yellow Fever injection as you will not be allowed to leave your home country without it. Thanks for chatting to us Annie. Finally, did you need a travel Visa for Zanzibar? You will be able to get a Visa on arrival in Zanzibar at $50 per person. The Visa is valid for 3 months from date of entry, but it is only a single entry Visa. Annie also compiled a handy Zanzibar Travel Guide. 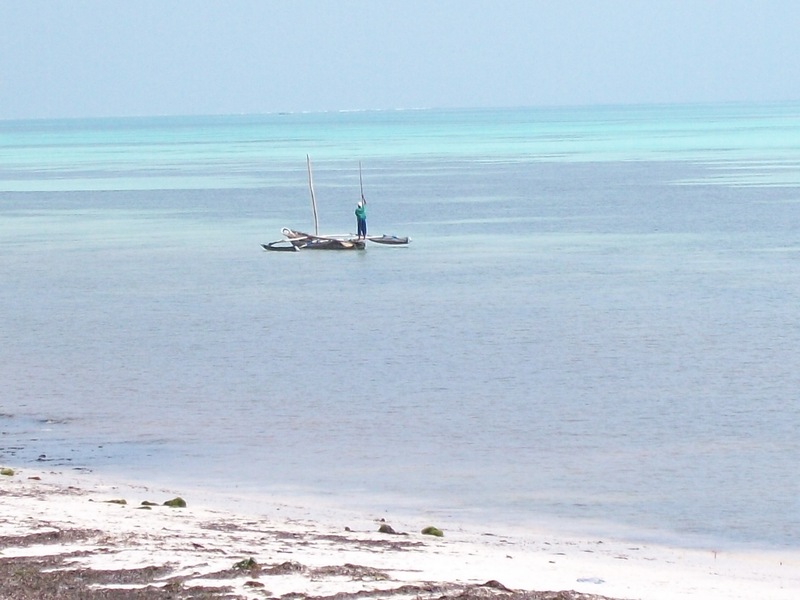 View Annie’s Zanzibar Travel Guide now. Are you feeling inspired to visit Zanzibar? Contact Travelbar now for holidays in Zanzibar or you can search cheap flights to Zanzibar on your own. You can contact Travelbar on 0861 878 278 (select option 5). 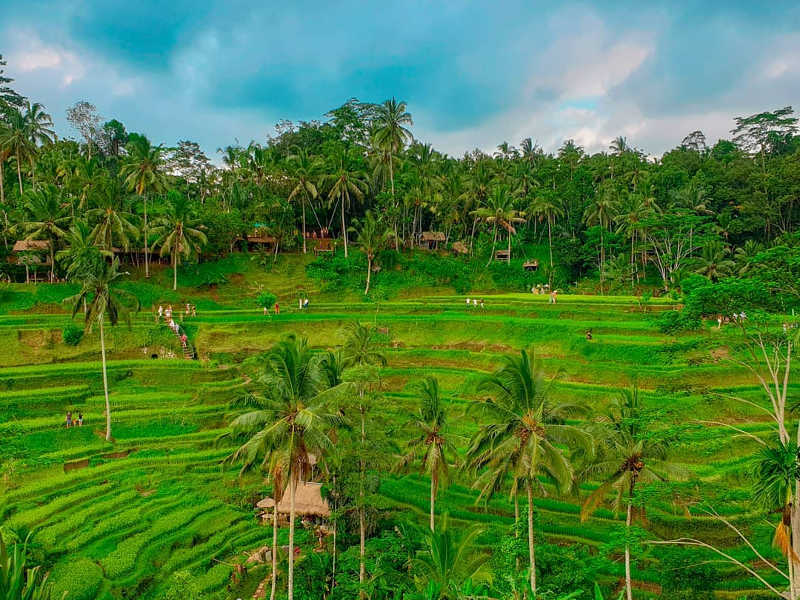 Experienced consultants are standing by to help you find the cheapest airline tickets to Zanzibar and the best Zanzibar hotels.